While evidence-based or lean startup has become the most successful way to start a new business, most textbooks still don’t explain the subject. The majority of entrepreneurship training now uses this early validation of a product or service by an end user as accepted practice. Surprisingly, there is no single resource to use as a reference to understanding the concept. s a result, we have put all the divergent paperback resources into this one book for easier understanding. After all, lean startup (evidenced-based entrepreneurship) is the most important change to creating a new business in fifty years. This new book, Understanding Lean Startup, will give a reader all they need to double their chance for success building a business.success while keeping them current in entrepreneurship trends. Published in 2016 in both print and e-book, Understanding Lean Startup is published by Booklogix is available for download on Amazon. Strengthen skills, know where to start and reduce your risk. Growing in universities as a separate degree in itself, any business major or inspired self-starter will find a barrage of tools that create a road map to the American Dream. With a focus on doing it “lean”, this 6-page guide by Clint Day, serial entrepreneur, business professor, and Babson SEE graduate. For ordering information, go to www.barcharts.com and search for “business” charts or click here to buy on Amazon. • Consultants – provide as a supplemental reference and/or promotional give-away for entrepreneurship and start-up presentations, courses, conferences, training and the like. A fun read, this book intersperses the principles of entrepreneurship with entertaining stories about successful entrepreneurs (Michael Dell, Bill Gates, James Dyson, Henry Kaiser, Fred Smith, the Wright Bros. and others). 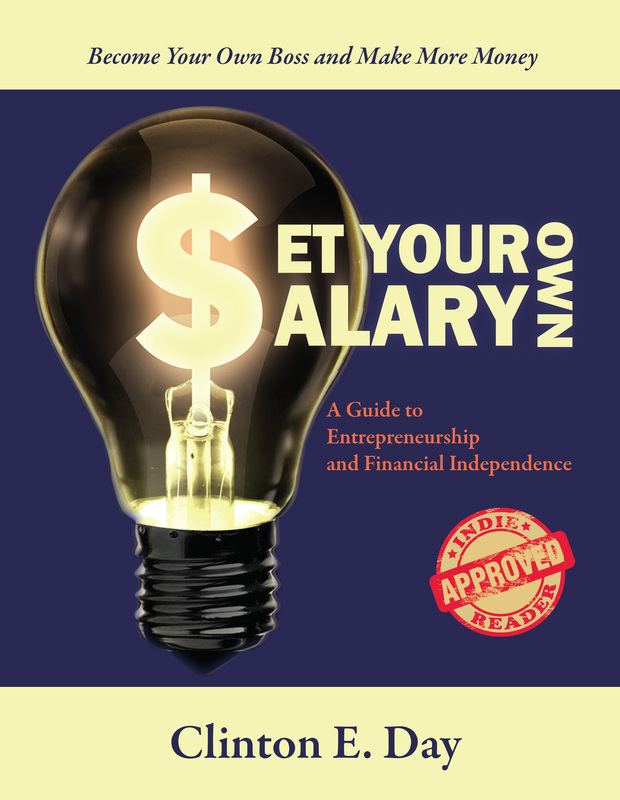 In this book, you will find a winning formula for self-employment, learn from the experience of other entrepreneurs, and discover the best methods to start a new venture. Follow these guidelines, stay the course, and you will be rewarded beyond dreams with financial independence and personal satisfaction. For ordering information, go to Amazon or BookLogix. Click here for complete details about Set Your Own Salary. 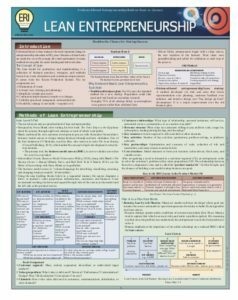 A six-page, laminated chart, the Lean Entrepreneurship Guide summarizes all 14 methods of evidenced-based, lean startup planning. It features the Steve Blank Lean Launch Pad method, but also has two engineering school methods, a complete glossary, a detailed lean course outline, and an explanation of the customer development process. The evidenced-based, idea validation way of planning is the most important change to entrepreneurship education in 50 years. It comes out of Silicon Valley, where their new internet platform required a different way to do startup than a traditional business plan. 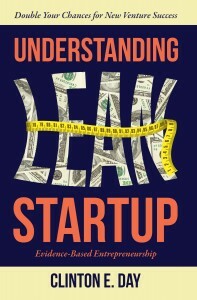 Absorption of some ten books is now required to grasp the meaning of lean startup. This guide is the first real summary of all methods and the strategies. Students, aspiring entrepreneurs, and government entities can use the guide to train the one method that guarantees success or failure before scaling or risking large sums of capital. To read more, see page 28. Click here to view the entire PDF. To see my list of books on evidence-based, lean entrepreneurship, click here. To see a list of the 76 best business books for entrepreneurs, click here. 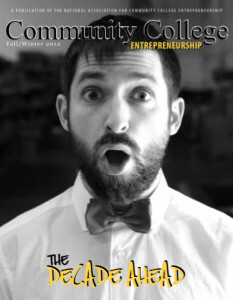 To stay current in entrepreneurship, follow Clint’s blog. To read about the 50 books every entrepreneur should have in his/her library, click here. 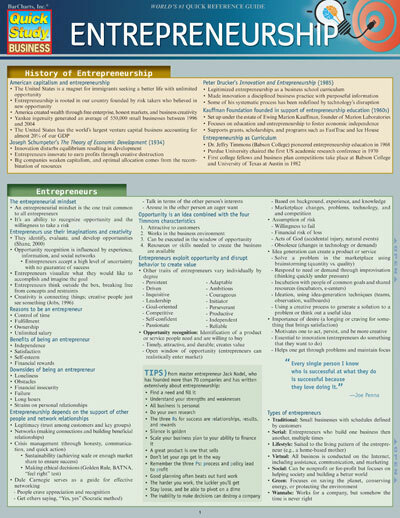 Click here to download a wonderful set of entrepreneurship books compiled by ELI, the Entrepreneurial Learning Initiative, an organization dedicated to creating entrepreneurial mindset education programs and expanding human potential, based in Mentor, Ohio.